Some people love them and some people hate them. But SMS or short message service is a great way to convey information to others. Since postpaid and prepaid plans are becoming more and more affordable for calling, SMS gets put on the back seat. However, sending texts might save you in a time of emergency. And if you find yourself without cell coverage or your phone battery is depleted, there are other ways to send SMS in India. In fact, you can even send them out for free. So today, I’ll be tackling a topic that I know everyone would love to read about: here’s how to send free SMS in India. There are different ways to send free SMS in India. You can send through apps, websites and other means. 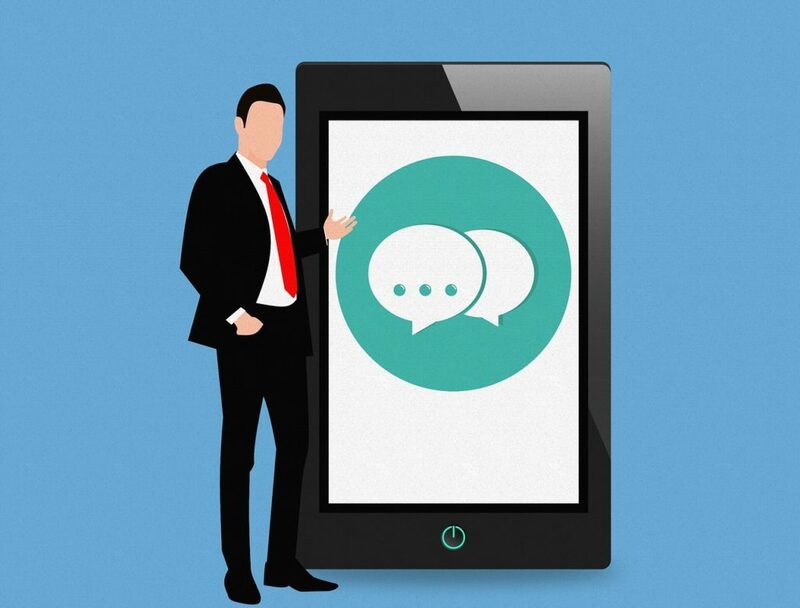 However, for this guide, we’ll be exploring 10 websites that allow you to send free SMS. With these websites, don’t expect too much. They might not allow you to send a long SMS and will cut messages short if they’re too long. Some might even include advertisements while you’re using the service. Nevertheless, having the capability of sending a free SMS is still very much welcome. I’ll try to be as comprehensive as I can, while at the same time reviewing the website. Will there be a website that comes out on top? We’ll find out soon. The Way2SMS service was launched way back in 2006 and is still going strong. And with many guides right now that talk about how to use and navigate the system, using it will be easy. This year, Way2SMS boasts a user base of around 40 million and growing. And frankly said, this service might even be the most user-friendly and accessible of all of the other websites. If you’re short on your SIM card’s balance, this might be one of the ways that you can still get in touch with your friends and family. There are some pre-requisites that you need to complete before you can start using Way2SMS, though. First, you’ll need to register in the website. Registration makes sure that Way2SMS delivers the best possible experience for all users, whether you’re the sender or the receiver. Basically, it makes sure that those that use the service don’t use it for abuse or spam messages. It’s definitely a welcome safety feature, however, there might be some people that are hesitant to provide their information to websites on the internet. Once you’ve input all of the required information, you just need to answer the captcha. This is another one of the security checks to prevent the use of the website for spam and abuse. Agree to the terms and conditions, then click on Verify and Register. And there are many more features that you’re free to discover. But what really blew my mind is its ability to translate to other languages. You just simply need to write in English, and after writing in English, you’ll be able to convert it into Hindi, Tamil, Telugu or Urdu. It’s a welcome feature and I believe a lot of people will be able to take advantage of this feature. The ability to store contacts in an Address Book is also a welcome feature. Now you don’t have to memorize phone numbers and you can just keep them saved. To be brief, Way2SMS definitely is a feature packed service and you’ll greatly benefit from it. The registration process is very simple and you can get started in minutes. Try Way2SMS out by clicking here. Often in the world today, website developers are sort of in a race. A race to have the most number of users, and a race of having the best-looking website. And with that sort of race in place, some websites start to slow down. And it might be the cause of unusability for the site. For people with lower-end machines, loading up a graphics intense website will take ages and it really takes away a lot of the convenience. This is where SMSTI.in really shines. This free SMS service doesn’t focus on having the best-looking graphics on a website out there. It also doesn’t want you to go through hoops to register. And this very unassuming website definitely doesn’t want to get your information. You’re not bombarded by a lot of information and there are no memory intensive graphics that might throttle your PC. It’s fast and you won’t have any problems booting up this website. It’s pretty simple and I think that’s the beauty of it. Here’s how to register in SMSTI.in: you don’t. It’s a great thing that you don’t need to register and provide your information. Definitely, this feature of the service would really shine in an emergency. If you just really need to send one text in a life or death situation, why do you need to go through forms and forms just to do it? It’s a little counterproductive and I salute SMSTI.in for not having a registration process. However, with the lack of a registration process, there are definitely some repercussions. For one, there might be someone that will take advantage of the system for their own malicious deeds. They might start sending abuse messages and advertisements en masse. But it seems that the developers behind the website developers are thinking ahead and have integrated IP tracking to the website. In short, the website will track the IP address of the computer that you’re using and possibly stop multiple requests from the same computer. So don’t even think about sending spam messages, despite the website having no registration process. The features are not that many. And the website pales in comparison to the more premium sites that require registration. But it is what it is. You still have the standard fare of features, of course, you’ll be able to send SMS to anyone in India. It will take the default India country code of +91, and you can add the remaining numbers. There is a limit to the number of characters that you can send in your text messages. You’ll only be able to send 160 characters in total. And though you’re constrained by the number of characters that you can send, don’t fret. The website actually touts some features that are not emphasized by other websites. One feature that it focuses on is its ability to monitor the status of the message in real time. That means that you can find out whether the message has been sent, or the general status of the message. But the best feature for this website is that you don’t get any ads. That right, there are no advertisements for this service. Even though the website doesn’t have any registration or login process, it does not compensate with ads. Whether the website is earning because of that decision, might be an issue in the feature. But for now, you can send free SMS without any consequences using SMSTI.in and I’m definitely fine with that. Try out SMSTI.in by clicking here. If we’re talking about a really good service, with a UI that is easy to navigate, look no further. Fast2SMS has to be the prettiest website in this list and it also sends free SMS. You’ll be able to accomplish a lot of different tasks using this website, if you’re looking for unlimited free SMS in India, then you’ve come to the right place. In the features category, Fast2SMS definitely has a lot to offer. The website currently shows that it’s sent 21 million free SMS messages already. Though it doesn’t specify the timeframe for that, whether it’s for the past 24 hours or for the past year. But still, it’s a great feat to be able to send that many messages for free. And with such simple processes to get started, you can raise that 21 million messages sent in a couple of minutes. The website is definitely a treasure trove to be opened and once you’ve cracked it open, you’ll find more goodies inside. The only downside to all of these features and benefits is that you’ll have to register first. But registration is also not that hard to do. Registering with Fast2SMS is pretty standard fare. You can easily register by going onto the website or you simply click here. Once you’re there, you’ll be asked a couple of questions so that you can be properly keyed into the system. Like with other services that require you to register to use their service, you might hesitate in providing your information to the website. However, don’t let the registration process faze you. In fact, it should make you feel secure. The reason as to why you’re asked to register in most of these free SMS sites is to keep track of the messages that you send. Though you yourself might not be thinking of taking advantage of Fast2SMS, some might. So to be safe, Fast2SMS might track your IP address and might even track mobile numbers used by the service itself. The system just makes sure that the service is not used for malicious acts like spamming and worse phishing. And if you’ve ever seen those suspicious texts, you’ll know that the developers mean well. In any case, the registration is put there for a reason. And you’ll definitely be doing the mobile phone community a favor by registering. Just trust the system and you’ll be sending free texts in no time! The feature that really amazed me here is the scheduled SMS. If ever that I forget a special occasion like a birthday or an anniversary, then I don’t have to worry about it anymore. All that I need to do is just pop in the mobile number of the person that I want to text and set my schedule. Another feature that I think would benefit many is the bulk SMS. You wouldn’t need to spend a lot of credits on your mobile phone to get your message out. You also don’t need to manually send a free SMS to one person at a time, you can just send the message in bulk. In any case, Fast2SMS is a great website to send SMS without many issues. Maybe the only issue that you have to go through is to register yourself. But beyond that safe and secure process, you wouldn’t have to worry about anything else. Start using Fast2SMS by clicking here. Another great service that you should consider is the 160by2 website. It allows you to send free SMS in India and can send these free messages across the country without any consequences. The only thing that they ask? Make sure that your message is only 160 characters and below. Also, you have to make sure that the mobile number you input starts with +91, which is already obvious at this point. And that’s how to you can send messages in India without even shelling out a single rupee. The website of 160by2 is definitely not the best design in the world. But it does lead in some departments that I’ll be discussing later. As a free SMS service, the website will still ask you to register to use their services, but I think you should already be expecting that. Nevertheless, it’s a more than decent service and there are features that you’ll be able to utilize and take advantage off. On top of those benefits are some that I’ve not seen from the other free SMS services. With that said, let’s talk about the registration process for this website. As the 160by2 website itself says, registration only takes 30 seconds. And they were not kidding when they said that. I tried the registration process myself and within seconds I was already sending free texts to anyone in India. There are only a couple pieces of information that the website asks of you and it’s no biggie to provide it. And you’ll also need to enter a CAPTCHA to finalize the process. In any case, like the other services in this list, it’s pretty much straightforward and standard. And once you’ve already registered and confirmed your email address, logging in is as easy as just typing your mobile number, password and hitting log in. It’s that easy. There are still standard features on the website that are existent on other websites. These features include bulk SMS, seasonal SMS, and scheduled SMS, among others. Think of bulk SMS as if you’re sending a group message. Scheduled SMS allow you to send messages at certain times, maybe for a birthday or an anniversary. The scheduled SMS feature is definitely welcome especially for those that are forgetful (like me). However, there is a feature that caught my eye while I was browsing the benefits that this website offers. And it’s the browser extension feature. The Browser Extension feature basically embeds the free SMS tool into your browser. Whether you’re using Google Chrome or Mozilla Firefox, you’ll be able to integrate 160by2 to it. The benefits of downloading the extension are a lot. You can easily share anything that you see on the web with your friends and family. You can also text while on the same page – meaning to say, you don’t have to switch tabs to use the SMS feature. 160by2 definitely is worth the time. And you might find it useful when trying to send free SMS. Try out 160by2 by clicking here. Though most of you will most likely use these free SMS services for personal use, some might want to use it for business. If that’s the case, SendSMSNow can accommodate both individual users and those that run businesses. By business, I mean that you can easily integrate the SMS sending tool to your website. But more into that later. The website is not that flashy like the others on this list. And if you really want to interact with nice user interfaces, then this website might not be for you. But if you’re just looking for a website to send a text in a pinch, then Send SMS Now might be your ticket. Unlike the others on this list, Send SMS Now allows you to send text messages without registering, but you also have the option to register. There are benefits that you’re going to get with registration while keeping it free will restrict some of your access. As soon as you open the website, you’re going to be able to send an SMS quickly. And for most people, that would be the end of your interaction with the website. However, if you’re willing to stay, then I’m sure you’ll find a lot of goodies. Registration is quick and easy, and once you’ve provided the information you’re being asked for, you can now jump into the many features that the website offers. And that’s just the tip of the iceberg. There are definitely more features that you can take advantage of, but these three features really stood out for me. The ability to receive replies is something that I haven’t seen in other websites I’ve browsed so far, but it’s definitely a welcome feature. SMS History is also something that will be useful if you want to keep documentation of what you text. But the best feature that I’ve found with this website is the Text Me box. If you want to bring your website or business closer to consumers, this might be the way to go. You can now receive texts from consumers, and all that they need to do is type a captcha. Beyond that, they’ll be able to ask their inquiries directly to you and it makes transactions and possible business deals easier to make. It’s definitely something to try out. You can register and use Send SMS Now by clicking here. If there’s a website that I would promote because there are literally no strings attached, I would pick A Free SMS. Not only is it free, you can send text messages to almost anywhere in the world. As soon as you open the website, it will ask you to what continent you want to send to, and it honestly amazed me. Not only can you send free SMS in India, you can also do it for other countries in Asia and the world. It’s not a hassle to use and you get started on using it instantly. Now the question on your mind is, “is it really no strings attached?” Well, I’m happy to say that yes, there nothing that this website needs from you. You don’t need to register nor do you need to sit and watch ads first before sending. The website does stop you if you have an ad-blocker, but for free SMS to anyone in the world? I’m willing to turn my ad blocker off for a few minutes. I’m not going to be talking about the features and registration in full because I think it will not be necessary. Because first of all, you don’t need to register to start using the website. And it even says it on the website: No Registration Required! The feature, on the other hand, is just one: sending a free SMS. You don’t get the group SMS and SMS history and all of that fancy stuff. But for most cases, having the ability to send an SMS for free is all you need. Text anyone worldwide with AFreeSMS by clicking here. Send a free SMS in India using AFreeSMS by clicking here. The best in class when it comes to presentation is Send A Text. Sporting a UI that is both very intuitive and easy to use, this website trumps the others from an interface standpoint. Upon opening the website, you’re treated to some imagery that is pretty nice to look at. That picture of a phone on the side of the website? That’s not just design. That is the actual user interface to start sending SMS to anyone in India. At first, I thought that it was just a design element but it turns out that it’s a genius piece. What’s amazing here is that you can quickly jump into sending a text message without needing to register. However, sending a text message without registration does have its downsides, like you’ll need to answer the captcha, and you’re limited to just texting one person at a time. But nevertheless, it’s definitely a great feature to have in times of emergencies, or if you’re in a pinch. But there are still a plethora of features that you can get from registration. Registering your name and information on Send A Text unlocks some useful features. You’ll get the ability to check your SMS and phone history, among others. But more importantly, you can send unlimited text messages from around the world. It’s not an inconvenience to register, the website will simply ask for just basic information. But once you’ve input everything that the website needs, you’re pretty much going to be able to use the website 100%. And by that, I mean that you’re not going to be restricted in any way. If you’re looking for a service that looks great and you can use without any hassle, then send a text would definitely be it. Now you can send your secret crush a text message and they’re not going to find out who sent it. Or you can now send an urgent message to your boss even without your phone with you. All of that are things that you can do for free, and you don’t have to pay for anything. Try out this Sendatext.co by clicking here. Globfone is a free SMS service that went all-in when it comes to user convenience. When I say all in, I meant that they spent no expense just to deliver the best user experience out there. They have a website that is easy to navigate, and what’s even more amazing is that they have an app that you can use. That’s right. Sending free SMS in India and around the world is now at your fingertips. And as I’ve said, it’s free so you don’t have to lose an arm and a leg to do it. Similar to how WhatsApp works, the app is a medium that allows sending SMS. However, for this article, I’ll be focusing more on its website more than anything else because most likely, you won’t have your phone with you. Is registration required? No, not really. you can immediately jump into sending a text message without needing to provide any information. That’s great and all, and if you’re thinking if there are any compromises to the free text message service. Then the I’ll happily answer no. You still get the same features and you don’t have to see ads everywhere, and you’re sure that you’re providing your mobile number to a trusted site. What I really love about the service is that it doesn’t force you to register. Unlike the other sites on this list, you can simply hop in and send free text messages to almost anyone in the world. And because there is no registration required, you won’t have the risk of providing your personal information to the wrong people. I really appreciate websites that do not have you go through a lot of processes to start using it. There are some benefits that outshine the others like P2P sharing and Video Calls. According to the website, you can even call phones through their website. I’m not sure of the specifics of these features because I haven’t tested them out yet. But you’re definitely free to try the features out. However, the website really touts a very powerful SMS sending tool. 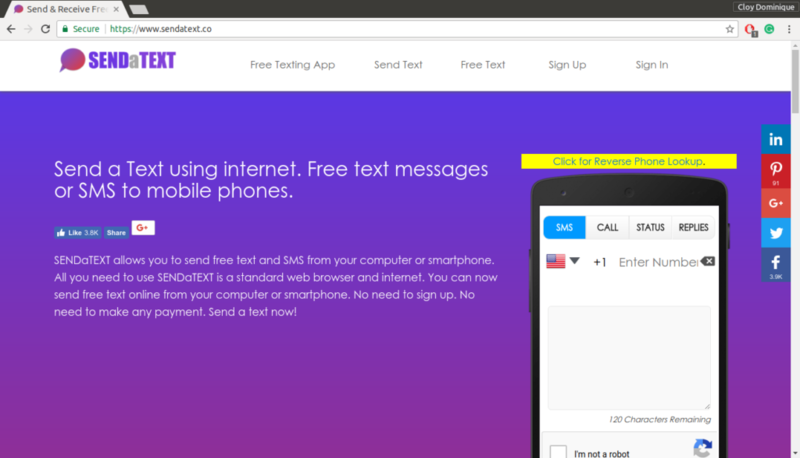 You can send texts to almost anyone around the world for free. As soon as you open the website and click on the Send Text tab, it will ask you for what country you’re sending the text for. And clicking on the drop down box reveals a lot more countries that you can text. It’s not just India that you can send a free SMS. Try out Globfone by clicking here. Upon opening the FooSMS website, I know straight away that they’re serious about free texting. They’re one of the few websites in this list that readily showcase the free SMS capabilities. And you can get access to all that without needing to register. Of course, like in many of the other sites out right now, they have incentives to those that trust them enough to sign up. FooSMS says on their website that they’re one of the leaders of SMS in India. And with a network size that big, they’re obviously going to deliver the best experience to you. They support all the carriers in India, so you don’t have to worry about any compatibility issues. Essentially, if there’s a message that you want to send, just use FooSMS and you’re sure that it will arrive no matter where in India it might be. And all of those features are available to the free users. It’s awesome that FooSMS does not require you to register. But registration does unlock some perks that you can take advantage of. Here are some of the benefits that they are promoting if you choose to register with them. However, these features are locked behind a paywall. However, it’s nice to know that if you want to go the extra mile in terms of improving your business, they can help. For free users, you get the standard features. You can send a text with a character limit of 145 characters. The character limit is quite large compared to other sites that only allow a maximum of 120 characters. You’ve definitely got a lot to work with when it comes to sending a free SMS. However, you might be thinking of the safety of using this site, but I urge you to let go of those hesitations. For one, the website has 300,000 active users and steadily increasing. And that basically means that there are more and more people putting their trust in this company. The only thing that you have to take note of is that they do track your IP address. The reason behind this is so that they can make sure that you’re not using their website for the wrong reasons. It’s not much of a big deal, because they’re just making sure that their website is not being utilized to deliver spam messages or advertisements. You can try out FooSMS.in by clicking here. The last service in the list, but certainly not the list is SMS Arrow. SMS arrow is a fast, easy and convenient way to send messages to your friends and family. And what’s more is that the service is entirely free. There’s a saying that nothing is free in the world today, and that might be right. But there are still some things that are almost free like the ability to send SMS in India for free. The only benefit that SMS Arrow has for operating their site is that they have free advertising for their services. They offer to send marketing SMS and bulk SMS, but they also offer free SMS. Upon opening the website, you’re treated to one of the simplest user interfaces in this list. Actually, it does remind me of early 2000’s design and it gave me a pang of nostalgia when I opened the website. But it’s not the user interface that we’re going to be focusing on. It’s the free SMS feature. Like many of the other sites on this list, registration is not required. So if you’re hesitant to provide your sensitive information, then you don’t have to be. With SMS Arrow, you’ll be able to send messages without going through a registration form. And you don’t have to dig through the website just to send a simple SMS. Maybe one of the downsides that I see from this website is that you have only a limited number of characters at your disposal. When I initially checked, I saw that you only had an allocation of 87 characters for your text message. For most individuals, that might be enough. But there are some that want to express themselves for a little bit longer. Maybe if you condense your words you’ll be able to fit your message. Though there is the limitation in terms of the number of characters that you can send, the free SMS capability is still very reliable. So you are sure that whatever you send will reach the person you’re texting. Another feature that you can test out is the Android app that they’ve created. SMS Arrow and a few others in this list do have apps but SMS Arrow makes their app easy to navigate. Using the SMS Arrow app, you’ll be able to send free SMS through your phone without hassles. You can access SMSarrow by clicking here. And as I bring this article to a close, you might be asking which I think is the best website. My answer would be, whichever you need. Each of these websites has their own pros and cons. Some of them would ask you to register, while some are fine without asking for any information from you. Basically, the list that you see here is the cream of the crop, none of them are bad. Though there are a lot of other options out there, still exercise caution when dealing with them. There is a lot that can go wrong with giving your information to random websites. For example, you might be providing personal information to those that can take advantage and exploit it. You might also be providing you and your friends’ phone number to the wrong people while using the service. It’s definitely something to be cautious about, and I would just say that you need to stick to those websites that have already been tried and tested. However, there are still some diamonds in the rough out there. Who knows? You might be able to find a gold mine. But going back to this list, there are plenty of websites for texting for free in India and for personal use, any of these websites are good. If you want to take a step further and integrate it to your website, then there are also options available to you as well.